They were ready to go, a dear invested brother jumped in and covered the trip (12 people, 4 days and nights, food, water, borrowed sound system, generator, fuel, Bibles, transportation and tent materials...$247 USD) and that's how a part of the Emmaus body spent last weekend. My very favorite part about these trips is when they get back. Leading up to this weekend, 3 or 4 students have been sharing the Gospel in Difou 2-3 times a week. Unlike other places they have visited where they've had little or no interest in the Gospel, no person of peace, and have had to "brush the dust off their sandals", they were touched from the start by the number of people in Difou (the community right past Fev) who were incredibly interested...who seemed to never have heard It...who were anxious to hear more. And this weekend gave them the opportunity to do just that! Emmaus can now say with confidence that every single person in this village has heard the Gospel, and continued to hear the Gospel unpacked throughout the weekend. On Sunday morning, EBS built these small tents, and when they asked if anyone was interested in giving their lives to this God they have been hearing of, forty people (FORTY PEOPLE) said they were all in. Dozens more said they want to hear more. Hundreds (HUNDREDS) came for morning worship. Leme couldn't believe how little Difou knew of "traditional" Christianity. 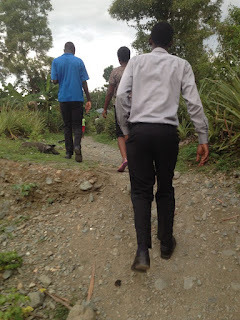 He said no one knew the hymns they were singing, no one knew how Sunday morning worship worked, no one had horror stories of crooked pastors or divided congregations or denominational disputes or unkind Christians...there is literally no church, no Christ, in the history of Difou. That will never be the case again. What an awesome opportunity to give the true Jesus, deep and wide and free. I wish I had more pictures (always) but I'm just thankful that Leme grabbed a few on his phone the morning they put the "church" together. I'm also incredibly excited to see evangelism happening in Difou, in culturally relevant ways, in the heart language of the people, by men and women living right down the road, and with DISCIPLESHIP following right after...continued. This isn't a "40 conversions!" statistic and on with life. This is the planting of seeds of Truth and Hope and Redemption in people's lives, by His power, and then all of the watering and sunshine and TLC that must follow. Though right now Phida and Leme cant 't stay behind, as begged, can't leave some of the students to live among them...Difou is nowhere near abandoned. This week, several of the same staff and students went from 1-3, as always. With so many zones even further than Difou who may have also never heard the full-Gospel, no one is anxious to abandon the road, either. So, Leme and Phida are praying with the students about which of them God is calling to care for and grow all these new brothers and sisters in Difou (ideally, two of them will stay in Difou, going on weekends and 3 times a week) and the rest of the students will keep moving on. I know this is no captivating marketing campaign. I know this is not a complicated or impressive strategy. But I love how much this sounds like the Bible. May that always be our strategy. Add Difou to your prayers! Pray for growth, pray for more to follow, pray for our staff, our students, pray for sensitivity and humility and wisdom and great enduring love. Keep on helping us do THIS. Life has picked up pace since we started working. Bill teaches on Tuesdays, Thursdays and Fridays and spends the rest of his time preparing which takes a long time as it is his first year teaching. Now on top of preparing he has to factor in time for writing tests, marking them and also marking papers. His general epistles class has 40 students in it which means a lot of marking. He is learning lots about teaching and how best to do that but feels a bit overwhelmed at times with so much work to do. Bill also wants to make sure he is doing his best as it is a big responsibility to teach God's word to young men and women. 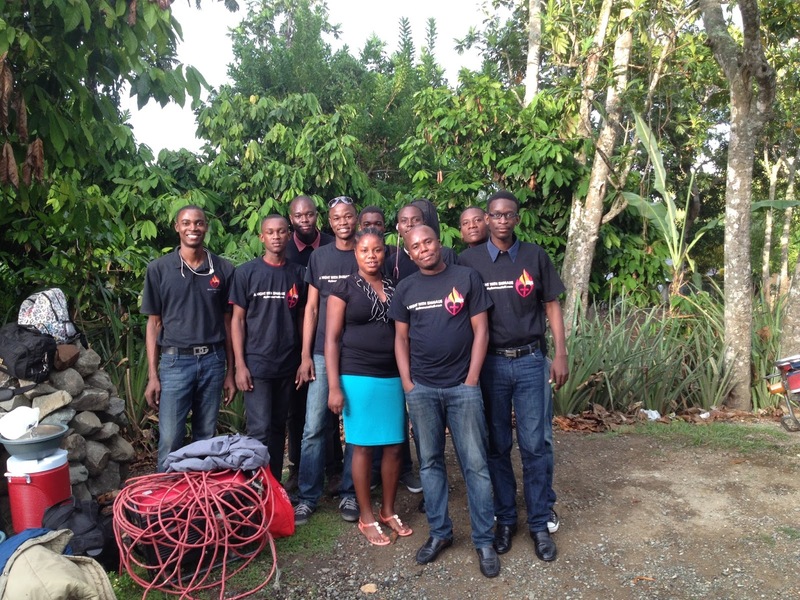 These students are then taking the word of God to their communities, evangelising and leading churches. 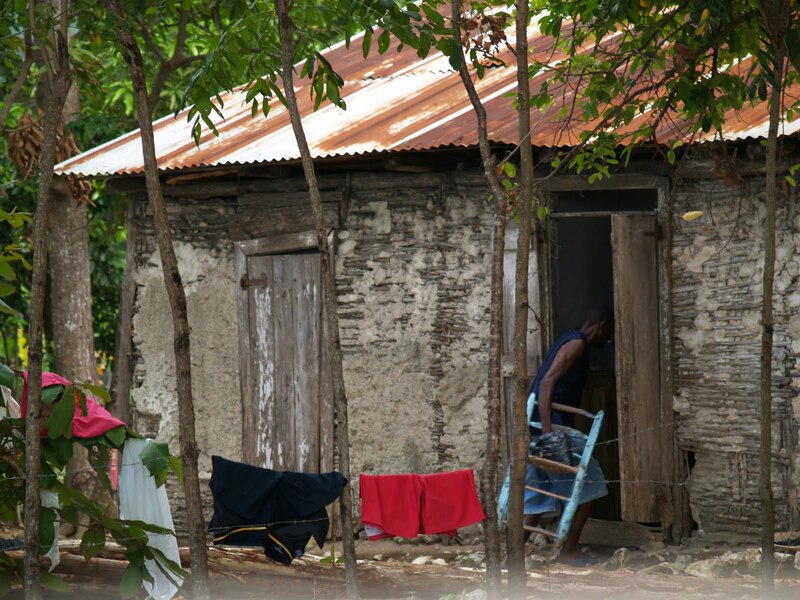 We believe the only way Haiti will ever change is God working through the lives of individuals. I have started working in the clinic on Tuesdays and Thursdays. It's been good to be back and renew relationships with the staff who were there before, my first patients were all staff from the clinic with various problems, shoulder pain, back pain and knee pain. Simple things that have been going on way too long and are now causing chronic problems because of the lack of treatment. Between working in the clinic, looking after the boys, cooking, baking bread, pasteurising milk, doing the washing etc it seems there is always something that needs done. Always something that needs cleaned. Always something that needs baked. Always someone that needs help. Sometimes living here can be overwhelming. It's at those points I stop and think about our staff in the clinic, my friends, my patients, how much harder life must be without electricity, running water, an oven, a fridge, a freezer, a washing machine, an income, the internet....and I could go on. All those things make life so much easier. I can't even imagine being able to live without them. Just living day to day in Haiti must be so exhausting. I have a patient , Kerline, she is 41 and 3 years ago she had a stroke. Since her stroke she has been at home in her house not able to go anywhere. She has regained some movement and is able to walk with a zimmer frame but Haiti is not accessible for people with disabilities. She doesn't even have a wheelchair if she wants to go anywhere. With the stroke she lost her speech, her daughter lives in Florida and she cannot talk to her on the phone. Her mum brings here for physio and I can't even imagine how difficult it is to get her into a taptap which she has to take two of to get to the clinic. Its been a while since her stroke but I am hoping the physio will still help her improve and make some progress so she can become more independent. Tomorrow I will bring Junior to the clinic to see a neurologist who we have visiting here for a week. He still hasn't been able to go for the CT scan he needs as he doesn't have anyone to take him and again taking public transport when you are paralysed is extremely difficult. It will be good to get another opinion and see if we can make a plan for him. If you remember please pray for Junior, he is fed up being at home. He wants to work but finding a job in Haiti is extremely difficult and even more difficult if you are in a wheelchair. About a month ago I was able to give a wheelchair to Alix, he loves it, he loves being able to go out and go to church. In fact I think he is pestering his mum and granny now he wants to go out all the time. But it has created a new problem, Alix has no bladder and bowel control which as you can imagine is difficult when to go anywhere. Yet we cannot find nappies for kids his age in Haiti. Thankfully we had friends who were in the Dominican over the weekend and were able to buy a packet for us but this will be an ongoing problem. A guy that works for the seminary here, Junel, has family in the south where the hurricane hit and he travelled down last weekend to go and see them. He said it was awful, everyone has lost everything their houses, crops and livestock. His father was a fisherman and he lost all of his nets. But they are thankful to be alive. In the area his father lives they have not received any aid yet.......nothing. He said the biggest problem is cholera, people who survived the hurricane are now dying from cholera. He told me a story of a guy from Port au Prince who went to visit his family in the south after the Hurricane and he died from cholera. I worked in our cholera clinic is 2010, it is truly the most awful thing I have ever seen. People get sick extremely quickly and can die within 5 hours of first getting sick. Please pray that for help to get to the right places and people. I know this hasn't been an uplifting post but this is the reality of life for people in Haiti. Its difficult, everyday for most people. And that is the hope I see in people in Haiti, its true most people here have nothing materially but for those who have God, who have put their trust in Jesus they know this life is only temporary. They know God is giving them the strength they need for each and every day. And they know the suffering they are experiencing right now will soon be gone and one day they will live with Jesus in heaven forever and that is where their hope is. I've know Dr Rodney and his wife since 2008. Dr Rodney worked just across from me in the clinic and Amy & I used to go and visit them in the evenings in their home. Vedane is probably one of the reasons I learnt creole because we became good friends quickly and she couldn't speak English so I had to learn! Ever since I have known them they have been talking about their dream. This dream is what they feel God is calling them to do. Dr Rodney went to medical school in the Dominican Republic, doing his entrance exam in Spanish, not being able to speak a word of Spanish (that's another story) and was working there after he qualified. He felt very strongly that God was calling him to return to Haiti to serve there. 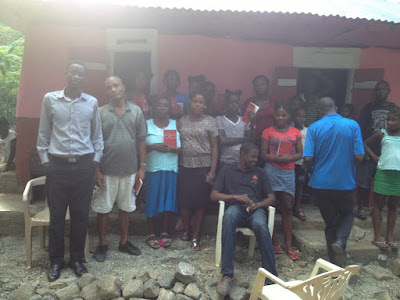 Their vision for Haiti is to be able to care for people and show the love of Christ to them by opening a hospital in Haiti which provides a high standard of care, both physical and spiritual. Part of their dream was to open a school to train health professionals. In 2012 they did just that. Bill & I were here in August 2012 and Dr Rodney showed us the building he was renting for the school, however within a few months the building was too small and he had to move. Now the school is run from the old seminary buildings on the OMS compound. There are four courses, nursing, laboratory technician, x - ray technician and Pharmacy technician. Part of the vision for the school is that students will come from remote villages, do their training and when they graduate they will be able to return to their villages and be the local health care worker. Last Friday we were able to go to their first graduating ceremony. They had 60 students graduate in all four courses, around half of them were nurses. It was a great ceremony and a big celebration of a great achievement by Dr Rodney and his team. All the students were dressed in their graduating robes and hats for the first half of the ceremony. Most of it was in French so we didn't really understand what all was happening!! However as soon as Dr Rodney got up to speak there was a huge cheer, mostly from many of the current students who were there. One thing which struck me was when the students received their diploma they not only shook Dr Rodney's hand but they went along to each member of staff (those you can see in the photo here) to greet them. While each student was getting their diploma they had a little bit to say about each one. It was very personal and you could tell the students were close with the staff and the staff were extremely proud of the achievement of their students. Meanwhile Dr Rodney gave his thank yous which of course included his mum and his wife! Then received their nurses hat and badge. Even though we couldn't understand a lot of it, it was a great ceremony. Their plans continue on as they have bought land and plan to build the school complete with dormitories so the vision of people coming from remote places to stay, study and go back to their own communities to provide much needed healthcare can become a reality. I am not sure why we are always surprised when God answers prayers. We spent the past couple of days checking and checking the news and weather to find out when Matthew was going to hit, how much rain to expect, how strong the winds would be and how long it would last. Every single website said the same thing, ALL of Haiti was under hurricane warning, here in the north we were to expect the rain to start on Monday evening and last all day Tuesday. We were supposed to experience strong gale force winds and up to 12 inches of rain. So we went to bed on Monday night waiting for the rain and wind to start. We had NOTHING all night. Overnight the path of Hurricane Matthew took a shift to the west but we were still reading to expect lots and lots of rain. Today we have had a very light rain most of the day but no wind at all. We have had storms in the past couple of months which have been a lot worse than anything we have experienced today. So despite all the weather channels and experts God has shown that he is in control and that he does answer our prayers. 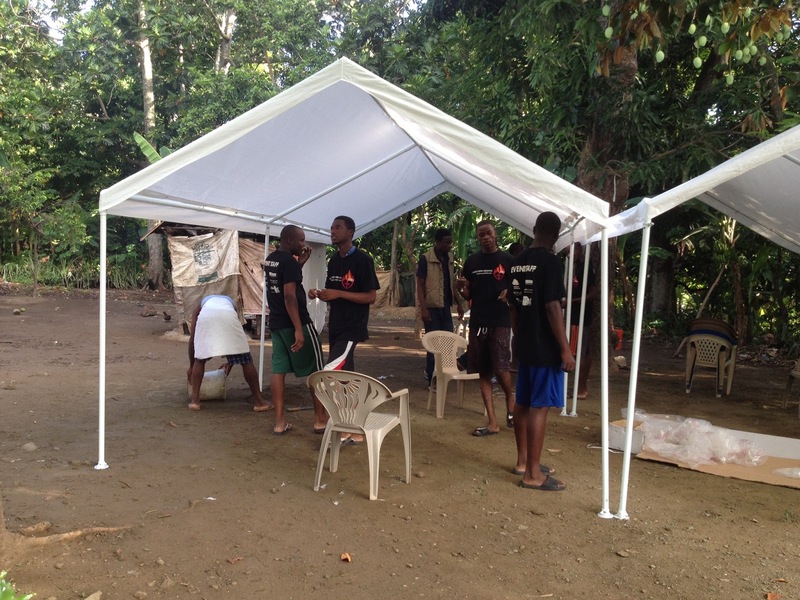 We were praying for protection against the storm for Haiti and that somehow the strength of the storm would decrease. We were never expecting that all we would have would be a little light rain. We know the south west of Haiti has been devastated by the hurricane with huge amounts of rain and extremely strong winds. Many people have lost their homes, possessions, livestock and crops. Finding food and clean water will be difficult over the next few days and weeks please continue to pray for those people. But the damage for the rest of Haiti was so much less than predicted. 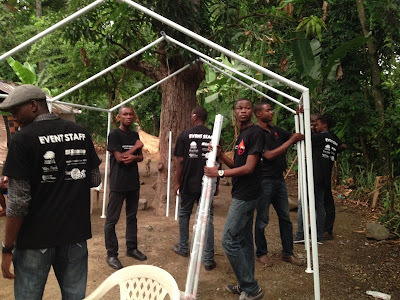 With a lot of rain anywhere in Haiti the there can be outbreaks of cholera and malaria and Bethesda is already prepared for another cholera outbreak. 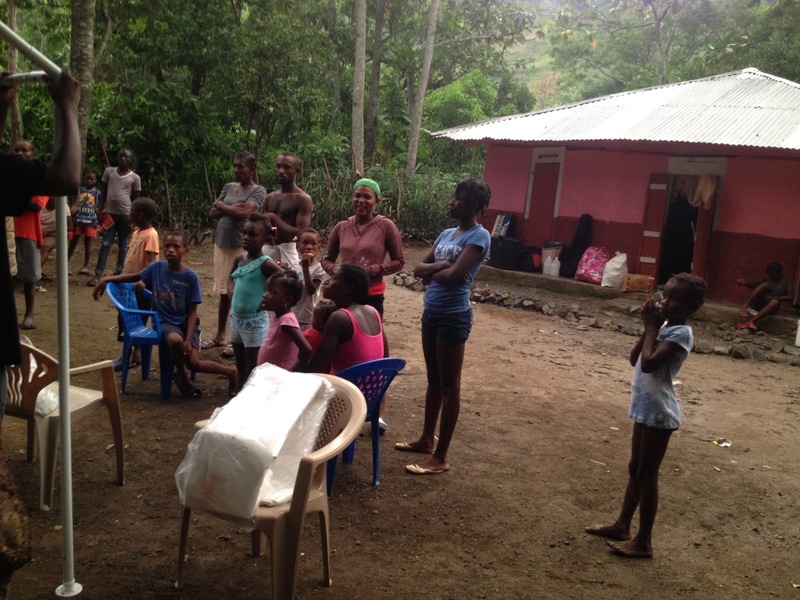 So we praise God that he is in control and that he answered the prayers of many people for Haiti. 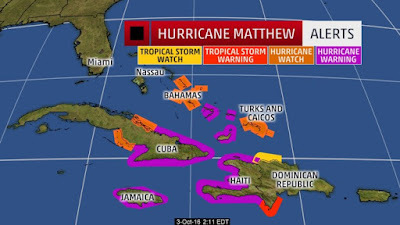 As you have probably seen in the news Hurricane Matthew is heading towards Haiti. 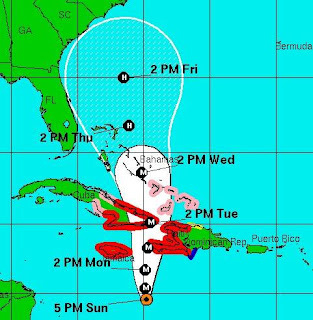 We are in the north of Haiti and at the minute it looks like Matthew will miss us but we will get some heavy rain and strong winds. 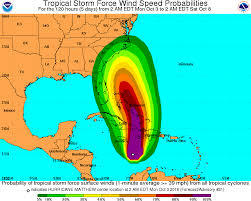 Our campus is very secure and it is unlikely that the hurricane will cause much damage to us. However this is not true of most people, the people we work alongside everyday, the staff in the clinic, the students in Bill's classroom, our friends...... It is likely they will not be protected from the storm. It is likely their mud houses will flood or be damaged. It seems Matthew will hit the south of Haiti hardest starting on Monday night. 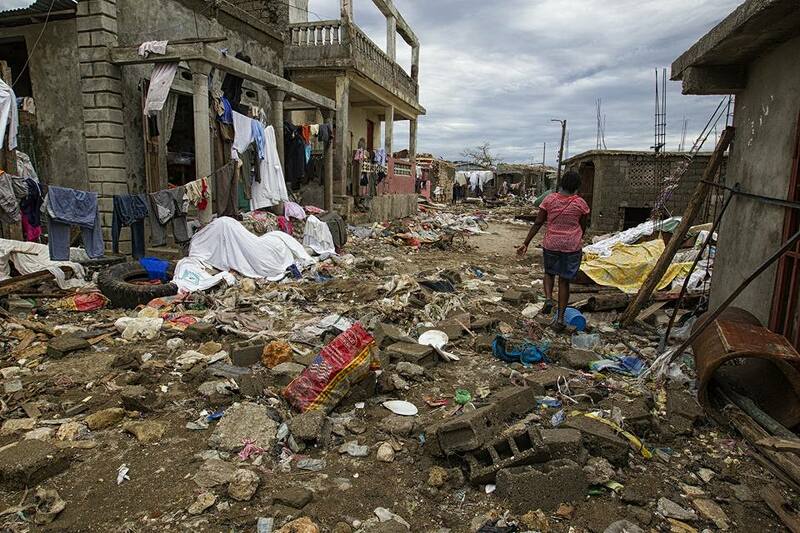 Please be praying for Haiti over the next few days. Pray the strength of the hurricane will decrease, pray that it won't take lives, pray that it won't cause mass devastation and pray for God's protection over Haiti. We are expecting rain and wind here on Monday night & Tuesday and if you don't hear from us it is because we will have lost internet. Thank you for praying for Haiti.